English speaking guide throughout the day. Personal attention guaranteed! Free cancellation 3 days before departure. Belogradchik - the town, that name means "small white town," is situated in the northern foothills of the Balkan Mountains. It is very close to Bulgaria-Serbia border and just 50 km from the Danube River. 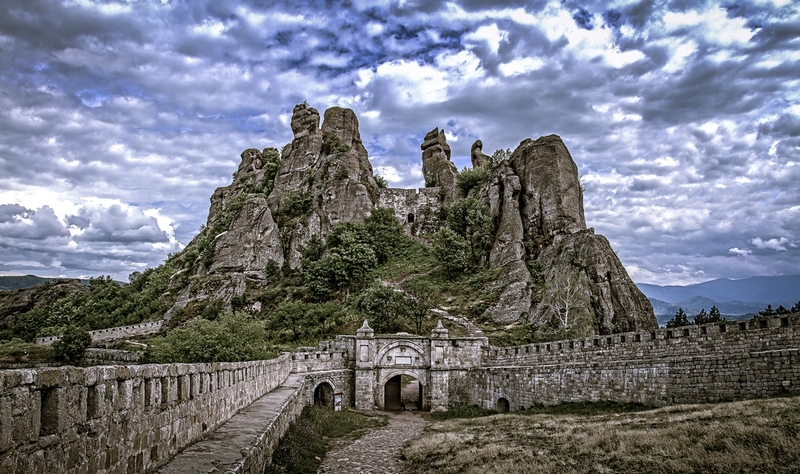 The most interesing landmarks are the medieval Belogradchik Fortress and beautiful Belogradchik Rocks - a group of strange shaped sandstone and conglomerate rocks, covering an area of 50 km2 and reaching up to 200 m in height. They were also nominated for new Seven Wonders of the World. After 2h 30min scenic drive through Petrohan Balkan range pass (if you don't mind the turns) we reach the town of Belogradchik . A short view point stop right before the town for pictures and we arrive at the parking lot in front of Belogradchik Fortress around 11:30 and go for a walk uphill to the top part. On the way we can enjoy the funny-looking forms of the rocks and use our imagination to "see" the figures of the Madonna, the Rabbit, the Turtle, The Ice-Age Squirrel, the Rebel and many more, learn the history of the Fortress during the different periods, hear the frightening legends of prisoners and rebels. The parking lot offers some nice souvenir shops, a good variety of wine and rakia (local strong brandy) from the Magura cave wine cellar. We drive further north to Magurata Cave, famous for its pre-historic drawings. The visit takes over one hour and is divided in two parts - main part (5 BGN per person entrance fee) and Pre-historic drawings part (5 BGN per person entrance fee). Both entrance fees are not included. Please pack a snack with you before departure. We drive to a nearby newly-opened cave Venetsa (The Wreath), smaller in size than Magura cave but more impressive and shorter drive from Belogradchik. Please pack a snack with you before departure. Entrance fee not included. We can skip cave visits and have a hearthy lunch in a very traditional local tavern called Madonna Inn in a nearby village Falkovtsi (lunch price not included). Please note that the drive to Belogradchik is fairly long and mostly mountainous and with turns on the way to Belogradcik. The return leg is on a straight road. We come back to Sofia around 19:00h. Driving time: 6h 30m approx. Special requirements: Good walking shoes. Some steep steps and climbing uphill. Snack or sandwich recommended. The tour price includes: transfer to/from your hotel/accommodation in Sofia, guide in English, parking fees, entrance fees. Meals and personal expenses not included. Small group tour. Private option +30%. Children (1-16yrs) 20% discount.